Before the weekend results and news, here is how the best of our suggested contenders did at the Delaware County Fair meet from Sunday, Sept. 15 through Thursday, Sept. 19 (Little Brown Jug day). All horses are in order of price paid, highest to lowest amounts, with show prices included for place horses. Our highest priced winner, if played with the race favorite in an exacta (perfecta), paid $48.20. The Jugette first elim heat exacta paid $9.60. With the bridge-jumpers out in full force—$215,000 in the show pool—Captaintreacherous swayed home wire to wire at Hoosier on Sept. 21 in 1:49.4. The brilliant pacer faced practically nothing like the talent he has beaten this season in a display much like a qualifier. 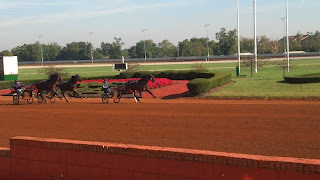 We supported two trotters to strongly contend the Centaur Trotting Classic at Hoosier and the better-paying steed won. Uncle Peter was all out late and won, paying $15.40. At our The Breeders Crown Countdown blog we analyzed the Milton Final at Mohawk with aplomb, nabbing Rocklamation with a correct scenario of failed speed late. The crafty closer paid $27.10. The countdown blog, in cooperation with the Hambletonian Society and TwinSpires, is your exclusive bettors’ aid for handicapping top contenders’ events heading toward the October classics. Check it out each week in league with our Thursday TwinSpires blog. Oddly enough, one of our list members at Lebanon, Big Ben’s Canyon, was beaten by Milliron Pete, who you can see above was one of our Ohio contenders. Also, “Canyon” went off higher than any horse we ever included on the H2W. Canyon finished seventh at 385-1. A horse we gave out last year when he won and paid the best price to date of his career (winning the Art Rooney Final at Yonkers) is now the fastest winner on a half-mile track in the history of the sport. At the Delaware County Fairground, on Little Brown Jug day, Pet Rock nipped A Rocknroll Dance to win the Winbak Pace in 1:48.1. Now a four-year-old, Pet Rock holds the world record for a mile, five-eighths and half, all established within the past two months. The connections of Hambletonian-winner Royalty For Life skipped action in Ohio and announced the colt will compete at The Red Mile in the Kentucky Futurity on Sunday, Oct. 6. Trainer George Duchame told Kathy Parker of Horsemen & Fair World about the plans. After the colt won the Hambletonian, Ducharme mapped out a conservative schedule for the trotter, with a start in the Bluegrass the first week at Lexington and then skipping the Kentucky Futurity. Royalty For Life’s powerful victory in the Canadian Trotting Classic prompted the change in plans. Trainer Chuck Sylvester also plans for Pennsylvania Sires Stakes champion and Hambo third-place finisher Spider Blue Chip, who lost in Ohio, to compete in the “Futurity.” And Creatine, who we supported in the TwinSpires Player Pool when he won an elim for the Hambo at 5-1, will also start in the Futurity. 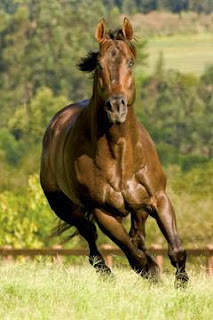 Googoo Gaagaa, last year’s trotting star with a pacing sire, was upset in a FFA trot at Maryland’s Great Frederick Fair. Cool Colby defeated “Goo,” whose owner-trainer is Richard Hans (he also drove Goo). The 2012 sensation, who was defeating all the Hambo contenders before August (not having a trotting sire, Goo was never eligible to the classic race), Goo had health issues that dowsed his sophomore season. At four he has not had much success, racing mostly in his home state of Maryland. Last Sunday was the final night of live harness racing at Toledo’s Raceway Park, an historic half-mile track actie since opening in 1959. Among various events throughout the evening were guest announcers who had called the action at Raceway Park, including Sam McKee, Steve Cross, John Pawlak, Ayers Ratliff and Ron Sobczack. 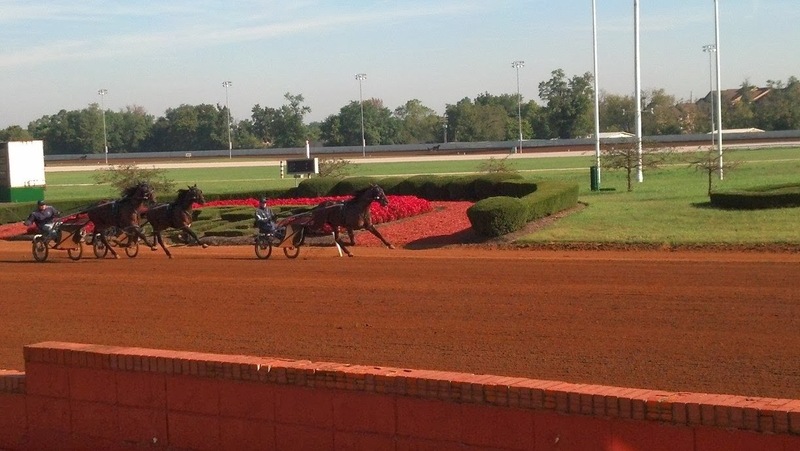 Two brand new harness tracks are being built in Ohio and will offer better purses and increased opportunities to the Ohio horse industry than had Raceway. The 2014 racing season will be held at a brand new facility, Hollywood Gaming at Dayton Raceway.